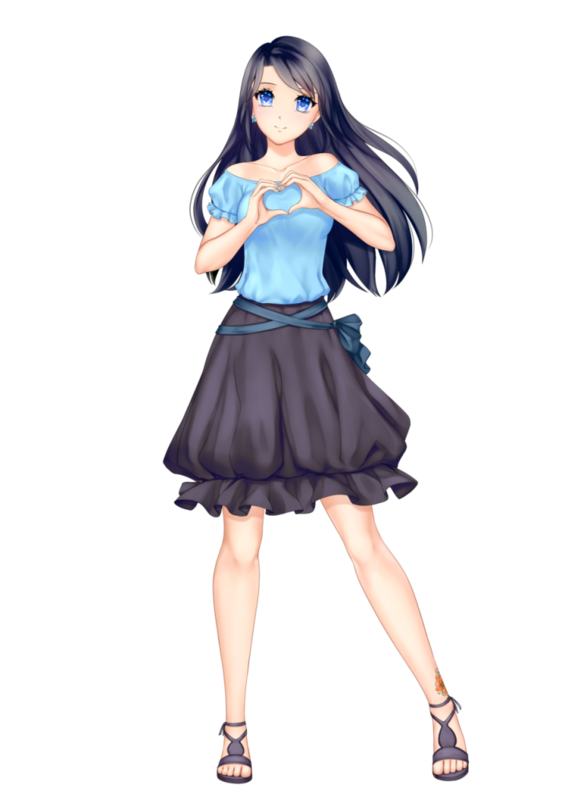 An anime girl with black hair, though not as colorful as you might be used to, has her very own appeal. On anime-girl.com, we provide illustrations for every taste. 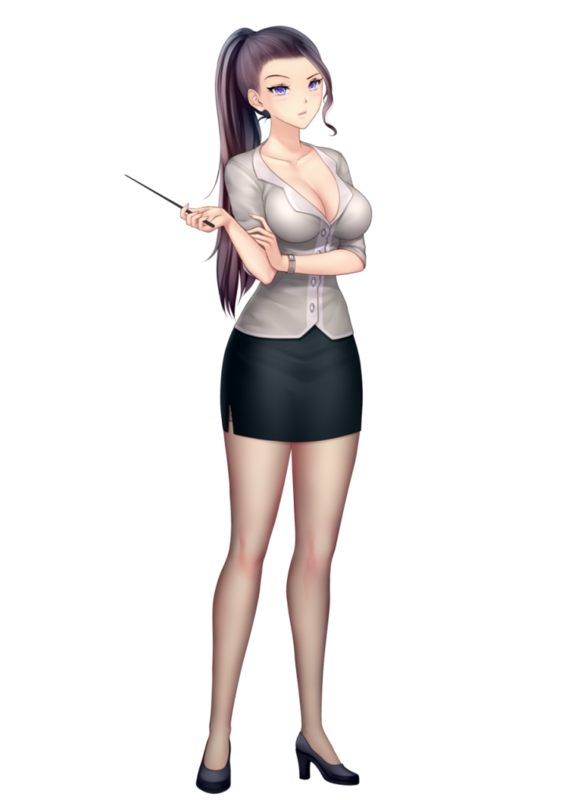 We offer black hair versions as well of course! Here we showcase our top 15 black haired anime girls. Want to customize yourself? Then visit our shop. Don’t get deceived by her cuteness. 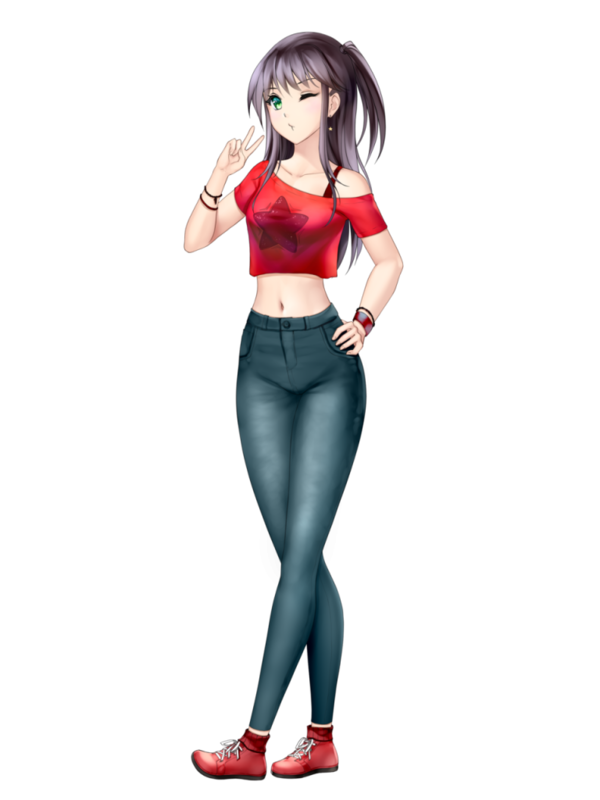 Ayame is our progammer girl. Despite being cute, she’s a real performer when it comes to video games. She’s especially into battle royal games like PUBG or Fortnite. 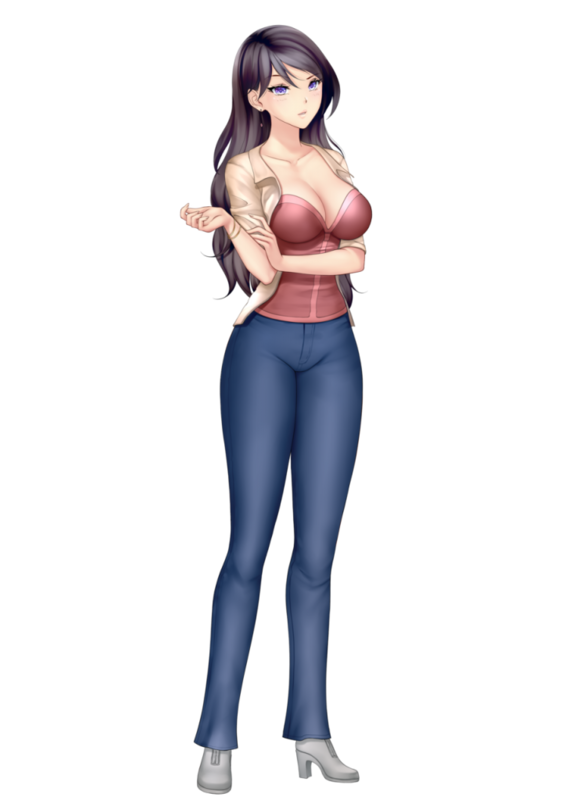 Jeans, hotpants or a short dress, Ayame can wear anything, always looking HOT. 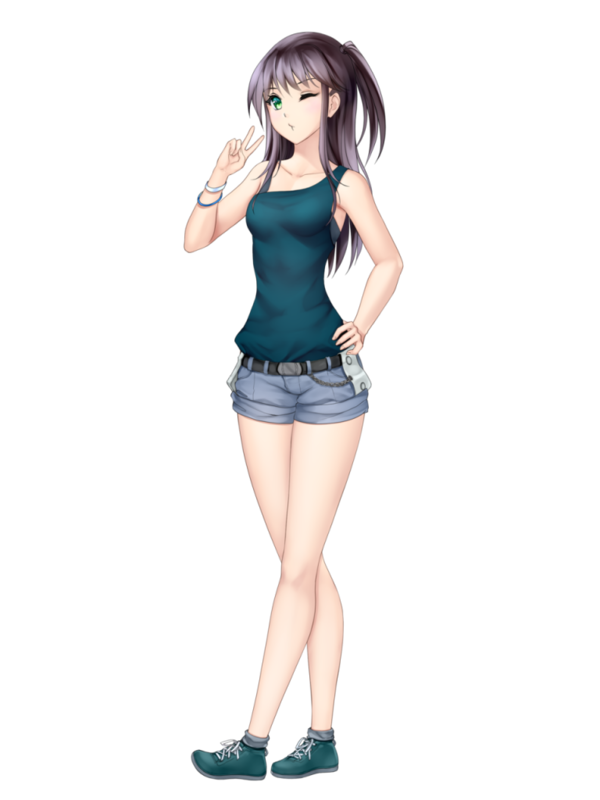 We show some of our anime girl maker configurations for Ayame in the gallery below. Ayame as an anime girl with black hair is super cute! 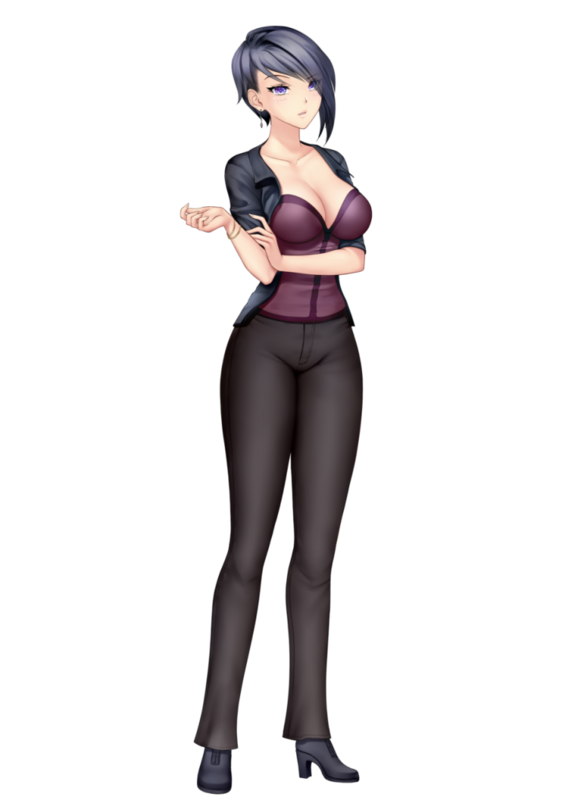 Click here to configure your very own version of Ayame. 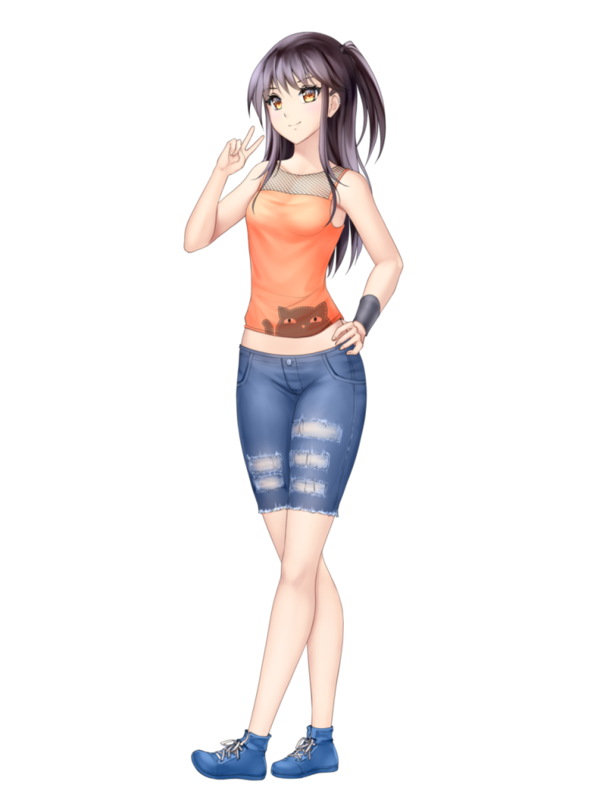 The orange top especially compliments the golden eyes in this configuration for Ayame. You might also notice the cat as a detail of the top. There is no way for an anime related page going without a Sensei! Harumi is on the strict side of teachers. She can give you an ice-cold stare or a gentle smile. It all depends on your configuration choices ;-). Harumi is also your first stop for questions about our service. Want to know something about us? Email her at harumi.saito@anime-girl.com! Harumi’s black hairstyles and outfits emphasize her strictness and love for clean, tidied up style. Himari is a florist. She puts all her love and dedication into her flower bouquets. 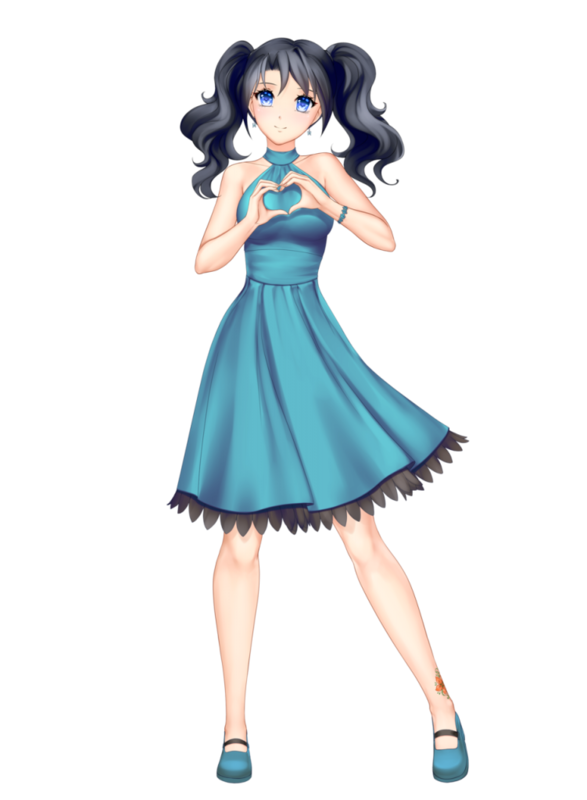 Want to know more details about Himari? Email her on himari.kobayashi@anime-girl.com. 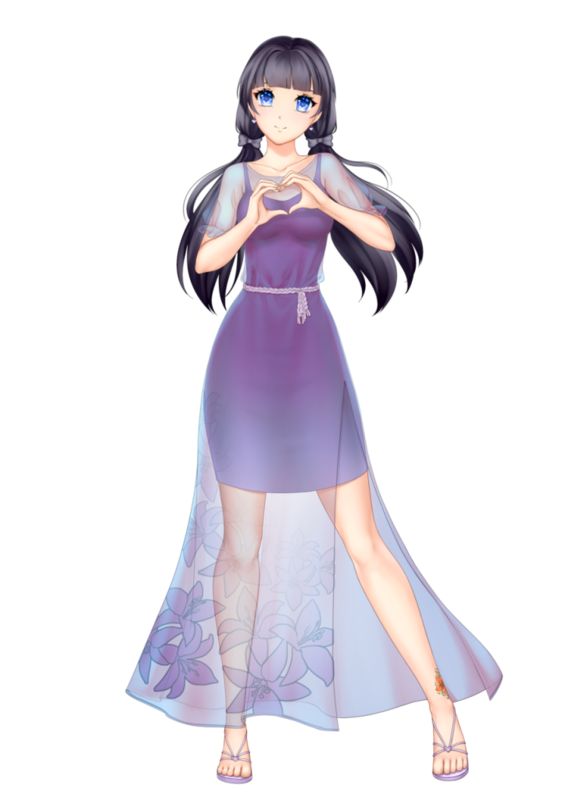 Himari is a very kind and calm person with a gentle soul, always looking to help others. She’s definitely on the cute side of the anime girl scale. 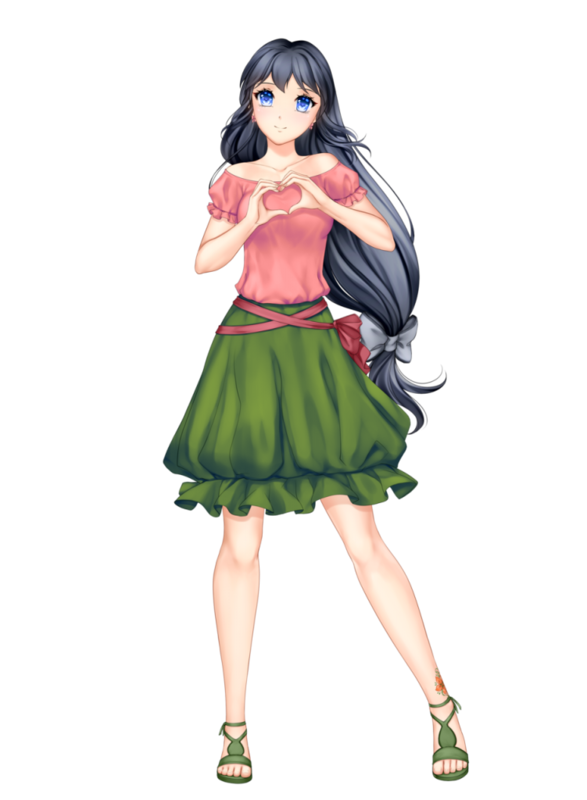 Be it a dress or puffy sleeve tops, she appears like a real sweetie in any outfit. 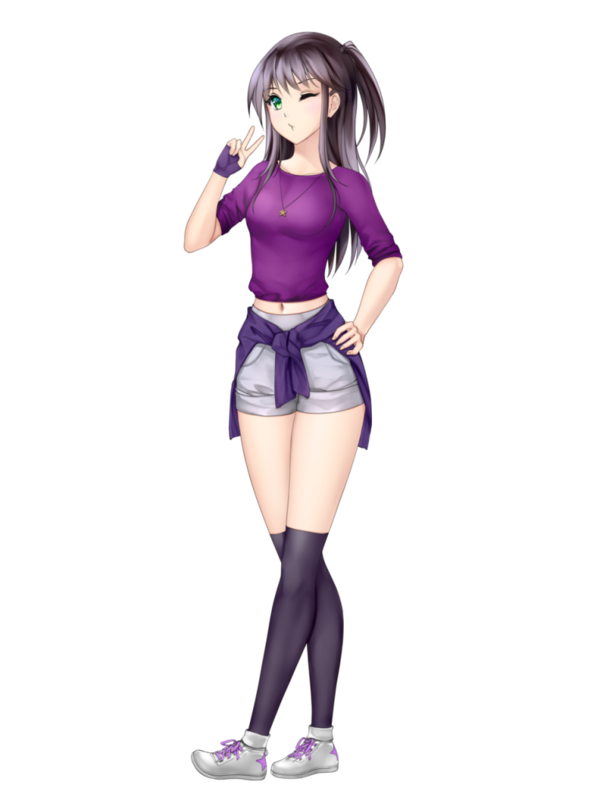 As you see, the appeal of anime girls with black hair lies in its possibility to be combined with almost any outfits and colors you can imagine.